We give you seven days to reverse 400% Land use tax” – NBA tells Ambode – Royal Times of Nigeria. 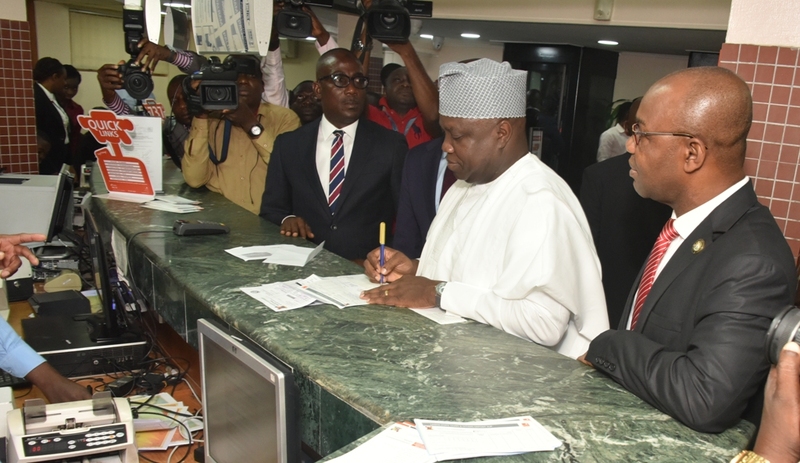 The Nigerian Bar Association (NBA), Ikeja Branch, says its would march against the revised Land Use Charge on Tuesday March 13 if Governor Akinwunmi Ambode failed to reverse the tax. Chairman of the Branch, Mr. Adesina Ogunlana, told newsmen on Wednesday that protest will start from the Branch Secretariat in Ikeja down to the Lagos State Secretariat in Alausa. He disclosed that the march had been tagged “Hell Tax Must Go”. Ogunlana said, “Few weeks ago, Lagosians woke up to learn about the hyper-inflated rate of the so called “Land Use Charge” which the Governor of Lagos has escalated upwards 400 percent. “Recently, one of our colleagues who regularly pay the sum of under N140,000 as LUC for office building received a notice of the LUC demand, he is now to pay the amount of N2 million. Ogunlana warned that the increase in property tax of the LUC will have an adverse effect on all other services as owners of properties and services will automatically transfer other financial burdens to their customers. “The government cannot hide under “Developing Lagos into a Mega Smart City” to kill Lagosians with Pharaoic Taxes,”.